The dodgy bookmakers are upping their deceptive link promo. It has been so succesful that it has become a weekly spam-a-thon with endless emails and text to dupe their customers and fine them any left over cash when the customers abandon the site because of rubbish odds. Dont play their games and dont leave money on their site. Terrible site, terrible customer relations, terrible odds. 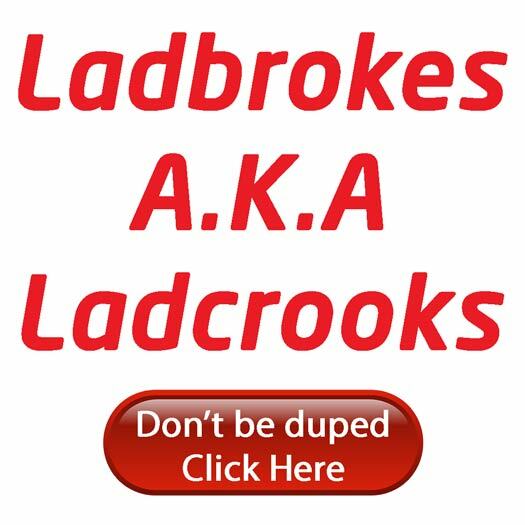 PokerKnave's Blog ladbrokes is ladcrooks, ladcrooks. permalink.